This is the first Catholic church in Novi Sad, built in the first decade of the eighteenth century. 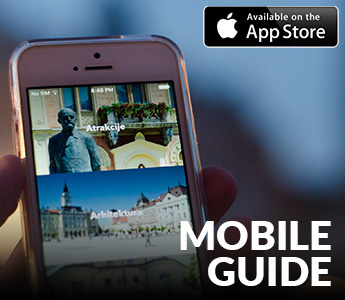 It is located on the main city square at “Trg slobode” Square, in the center of Novi Sad. The first form of this church was demolished in 1742, a new building, the current “cathedral” as the locals call it, was built in 1895, designed by famous architect and builder György Molnár who already in 1892 had a ready architectural plans for her. It was built at the same time as the building Magistrate (City Hall). Molnar didn’t asked for any financial compensation because he wanted to contribute to the city and to the church. He worked on the project with contractors named Stefan Gusek and Karl Lerer. It was built in neo-gothic style. The church is not the cathedral because the seat of Backa Diocese is in Subotica, and the cathedral are objects that represent the seat of the bishop. However, out of deep respect for her citizens, it was given that epithet. Holiday of the temple is on 12 September. The church was set on a north-south-west. It has a tower height of 72m, and the cross made of gilding. The entrance to the church is located opposite the City Hall and is adorned by a massive two-door portal, while above the embossed coat is text “Cross of Love” (Crux amore). Behind the main building there is the Catholic port with the building of the Catholic parish “Plebanija”. Also, there are the Vatican Palace and Cultural Centre of Novi Sad. The church interior is decorated with 4 altars. The altar of the Resurrection of Jesus, altar dedicated to Christ’s tomb, an altar with a large icon of the Mother of God with the Hungarian kings Istvan and Laszlo, and an altar dedicated to St. Florian. The sculptures on the altars were made marbling, ie. Imitation stone. Beneath the choir is placed a bust of Molnár György who is responsible for this magnificent building.